International Business Etiquette; What Country Fits Your Manners? 4 If you’re interested in learning more why not get one of these books? 5 Want to Learn More? Why Not Follow a FREE Webinar? Doing business internationally opens a lot of doors for a lot of people. Of course, there’s the obvious implication that you are creating the opportunity to work with innumerable new customers and collaborators, potentially increasing the revenue, value, quality, and diversity of what you do. But more than that – and as we’ve seen demonstrated so starkly with recent developments in Europe – cutting yourself off from the possibility of international connections sends a negative message that can create ill-will, social alienation, and economic freefall. A culture of international understanding and cooperation can foster a creative atmosphere in which all parties can thrive, with inevitable give-and-take as relationships evolve. 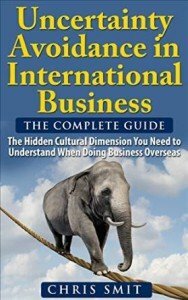 Understanding what the international business etiquette are helps. A lot. This doesn’t mean it’s an easy path to take. Some find themselves unable to rise to the challenge. But business is about more than buying and selling: it is about empathy, learning, innovating. 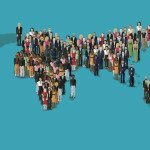 Cultivating an international network is a steep learning curve, because every nation – every city, even – has its own business culture, its own language, its own emphasis. Discovering first the broad strokes, and then the nuances of doing business with those from foreign cultures is an exciting but testing process. The differences can hit you as soon as you meet. In Russia, for example, you may be kept waiting by senior staff who are trying to make a show of power. Being aware of this convention before you arrive can mean you needn’t take offense, but rather stay one step ahead. (If you’re in a situation with civic officials, though, lateness may genuinely indicate overwork.) Places as disparate as India and Latin America also tend towards late starts for meetings although the cause behind it may be different. It is good business etiquette to be on time wherever you travel for business: even if you’re left alone for a few minutes, you can make a good impression, and use the opportunity to do some last minute preparation. 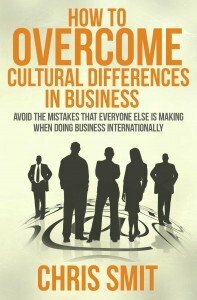 Asian business culture tends to come with a level of formality that may seem extreme to westerners, although there are often good reasons behind the way they do things: respect, communication etc. Look to China where, if doing business long term, you may want to give yourself a Chinese name: this shows that you are committed to the region and respect the differences in their culture. Formality in Chinese business extends to gift-giving, and you should bring a gift representing your home culture to present to your new associates – just avoid bringing a clock, which is seen as a symbol of death! Your hosts may at first decline the gift, but they are just being polite – repeat your offer two or three times until they accept. Chinese business formality can extend to pretty informal levels if you’re not careful, though. Dinner meetings can involve repeated toasts, so be careful not to drink too much. Once you’ve been going a while, it is fine to tell the host you’ve had enough – it helps them to gain face. The culture of giving business cards seems to have originated in China several centuries back, as ‘visiting cards’ among the aristocracy. Maybe this is why formality around the giving and receiving of business cards in Asia remains quite solemn today. In China, Japan, and Korea, the exchange of business cards has a lot of similar conventions. Make sure to get cards printed up in English on one side, and the local language on the other, and present them with both hands – local language facing up. When you receive a card, you should take the time to look at it respectfully, without appearing to scrutinize it. In India, just as you should eat with your right hand only, you should give and receive business cards with just that hand. Even once such meetings are over and you’re back in your home country, when continuing to do business with foreign partners it is important to remember the differences at play and not to take offense when they upset your own local norms. The Spanish, for example, do not expect to be set regular deadlines and tend to regard them as rough guidelines rather than immovable targets. It won’t be good for business if you allow such apparent transgressions to cause conflict. Rather, allow for potential delays in the private plans you make, and be clear when a necessary deadline is truly important. Of course, these are just some of the formal business matters that will come up when working with people from other areas, but a great part of cultivating an international business culture is the chance to visit, socialize and live with people who have a different approach to life. A new infographic gathers some of the social and business conventions that overlap between different countries to give you an at-a-glance reference for some of the curious commonalities between our far-flung neighbors. 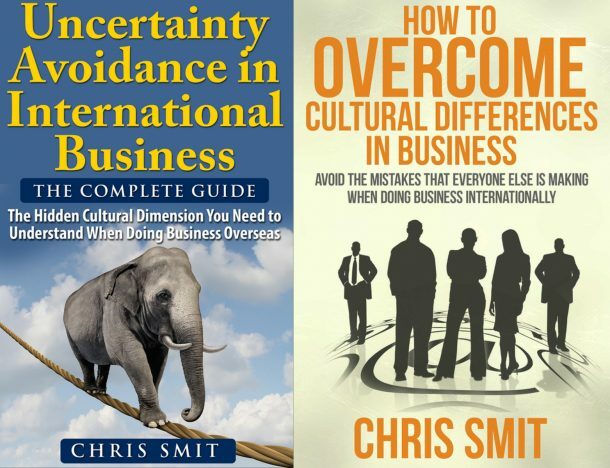 Be sure to do your research so you know which international business etiquette to follow before engaging in foreign endeavors, and who knows where these new relationships could lead. Below is an InfoGraphic that gives you an overview of several international business etiquette.